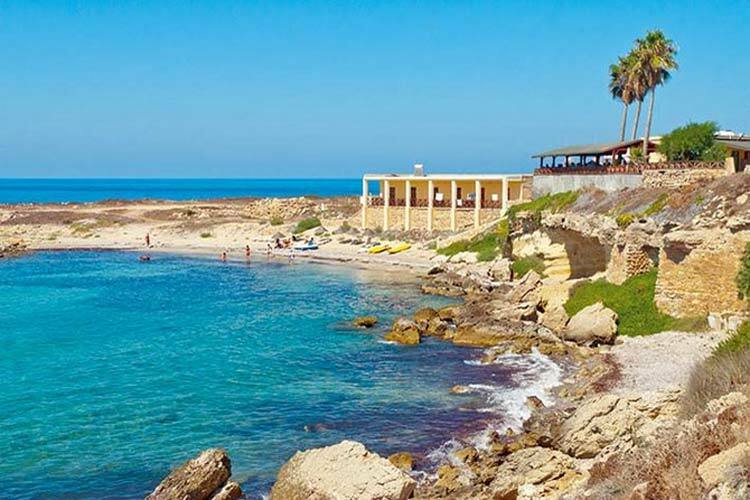 Explore Karpas Peninsula (Karpaz or Karpasia), Golden Beach & the Apostolos Andreas Monastery - the natural paradise near Famagusta, Northern Cyprus. Unmistakable on a map of North Cyprus, the Karpas, or Panhandle as it's commonly known by, is the long finger of land pointing north-east towards the Turkish eastern mainland, located at the Eastern most tip of Cyprus, near Famagusta. 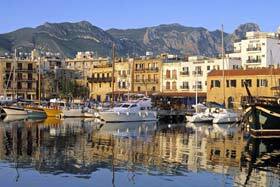 The peninsula thrusts out from just beyond where ever watchful Kantara castle sits at the end of the Kyrenia range of mountains; a windswept undulating land strip of around 75 km in length. Harbouring some of the best beaches on the island, this remote terrain is a mecca for bird watchers. It's also where to see the ubiquitous Cyprus donkeys, abandoned when the Greek's left in 1974 and now roaming freely. Wild and almost derelict during the winter months, it becomes wild, in the human sense, when hordes of locals and holidaymakers arrive during the heat of summer to enjoy the beaches. Otherwise, this area attracts nature lovers and walkers who enjoy off season solitude. 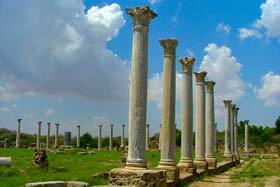 A scattering of small archaeological sites and early Christian churches lie in wait. 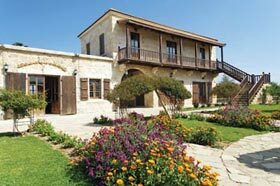 Here you will witness a tranquil and picturesque village where Turkish and Greek Cypriots live together harmoniously. 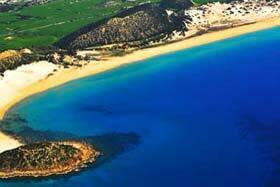 This peninsula is undoubtedly the most beautiful and the least spoilt part of North Cyprus. We could not be exaggerating if we said that Karpas is a corner of earth touched by heaven. Golden sands with turquoise-colored waters, and a perfect place, with beaches that stretch as far as the eye can see. Access is provided only through private vehicles, there are no mass transportation vehicles. You may prefer pre-prepared package programmes if travelling with a tour, or if you have arrived alone, renting a car is a good option. From Kyrenia, the Karpaz municipality can be reached within 3-3.5 hours, first by following the road to Nicosia and then Famagusta, and finally from there to Karpas. You will have a further 50 miles to go to Cape Zafer, the edge of the peninsula, from Karpas. Roads are quite narrow; however, the journey is definitely worth it. Flora and fauna of the Karpas Peninsula, which is a part of Iskele district, are the richest in Cyprus. Karpas region is well known for its virgin nature and splendid beaches. Golden Sands Beach is one of the ten finest and longest beaches in the world. Golden Beach is a nature's magical touch, the most beautiful and the best beach of the island. 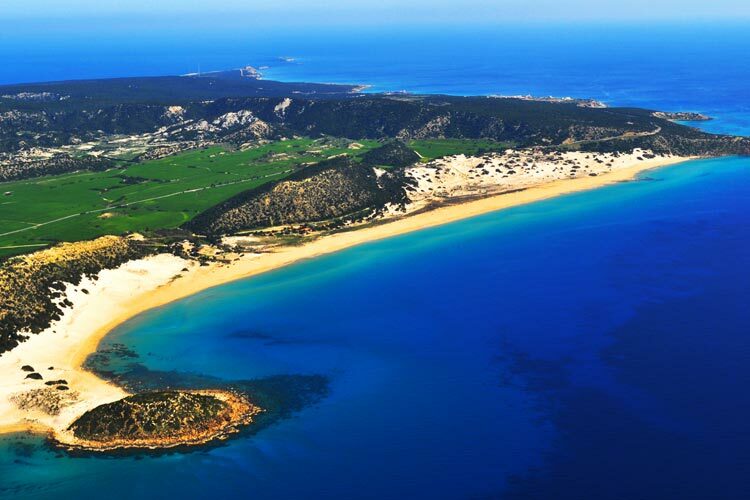 Longer than 6 kilometers of sand and packed dunes, the Golden Beach cleans itself with its never ending breeze and forms a paradise not only sea fans but also for the Caretta turtles for hatching. Restaurants and camping sites of humble natural style are also available. 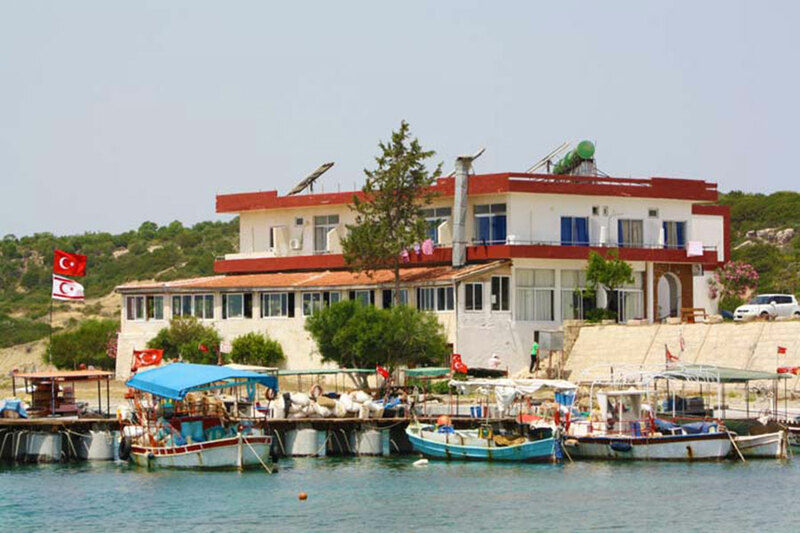 There are no large hotels in Karpas Peninsula but you can find small hotels nearby such as Blue Sea Hotel and wooden bungalows as basic accommodation on the golden beach of Karpaz, Northern Cyprus. You can also find luxury hotels nearby such as Venus Beach Residence & Hotel and Kaya Artemis Resort Hotel on the Bafra beach. Situated at the very tip of the Karpas Peninsula, on the Cape Zafer, the Apostolos Andreas Monastery and the fountain of the water spring are accepted to be sacred both by Turkish and Greek Cypriots. En route to the crusades, the island, whose Christian population rapidly increased during Byzantium period, has a special importance in Christianity. 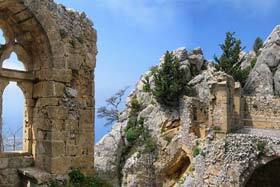 The island is perfect for those seeking seclusion, as large and small monasteries can be found all over Cyprus. 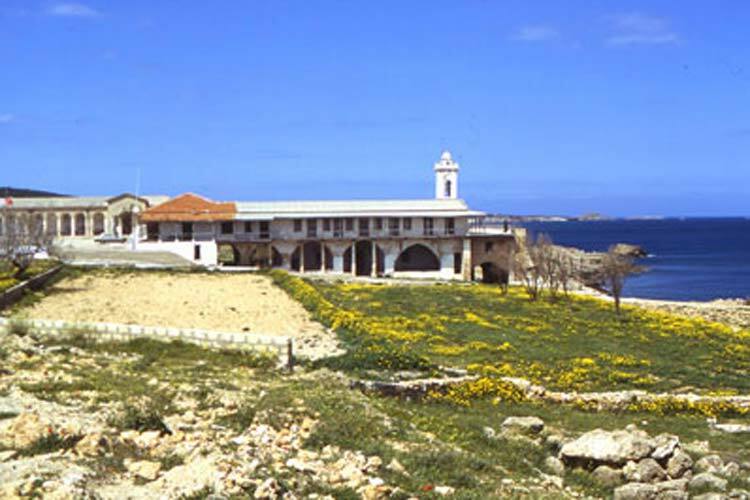 The most important of these monasteries, in terms of biblical history, is Apostolos Andreas Monastery. In addition, in the remote villages of Karpas Peninsula region, there are some remarkable churches and mosques to explore. Idle donkeys that live in the tranquil parts of the Karpas Peninsula have become commonly known as "free donkeys" and they have been taken under protection in the recent years. The number of the donkeys was some thousands in the past, but today 400-500 of them enjoy the most remote and natural corner of the island. Their colors are grey, brown and mainly black. Some tourist guides taking place in the excursions to the region perform contests: the first participant of the tour who will spot one of these free donkeys and show it to the tour-mates is prized with a bottle of Cyprus wine. Those who seek to spot the donkeys and could not see can wander around to pick the wild spring flowers of this region.